Here’s Tara working in the kitchen-lab. Soon we’ll be in our own space! 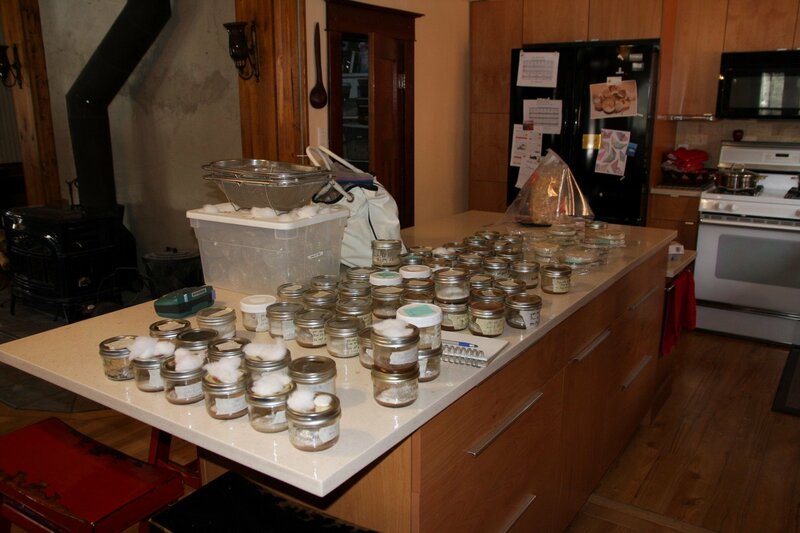 We use jars instead of glass petri dishes sometimes. They are cheaper. However, they take up too much room in our pharmacy fridge! 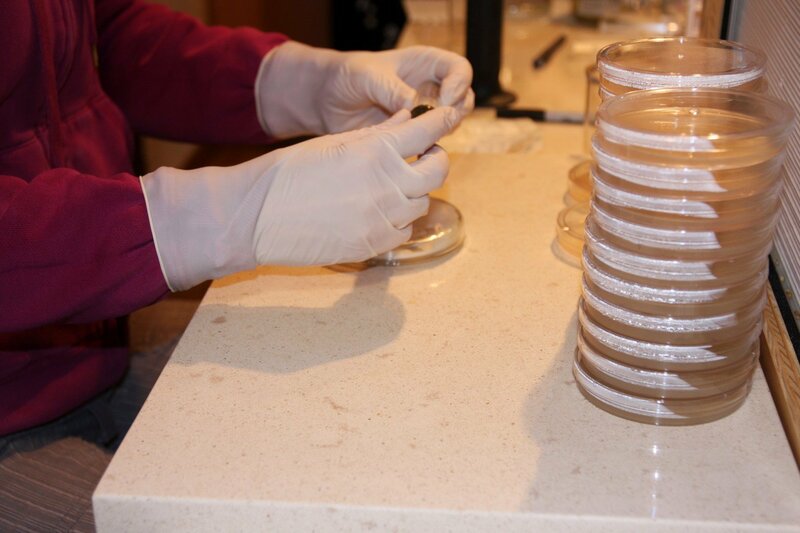 We are working on transferring most of our genetic material to glass petri dishes.